With North Carolina officials considering a controversial plan for a charter takeover of two Durham schools, the city’s residents will call on the state to back off during a planned community meeting tonight. 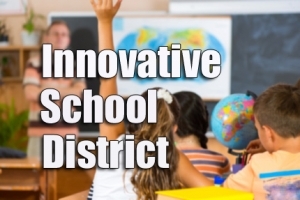 The “Defend Durham Schools” meeting, set for one of two local elementary schools remaining on the state’s shortlist for the Innovative School District (ISD), comes with the State Board of Education planning to tap two schools in December. Eric Hall, superintendent of the ISD, is expected to make recommendations to the board in November, following community meetings and assessments of the schools’ needs in the coming weeks. The prospects of a charter takeover have generated differing responses in the four North Carolina districts remaining on the shortlist. In Durham, leaders have been vocally opposed, and in the Rocky Mount area, officials have talked openly of closing a local elementary instead of going along with a takeover. The proposal’s received a warmer response in Robeson County, which has two schools named on the list of eligible schools. Schools were chosen because their performance scores ranked among the worst in the state. And supporters have said such struggling schools are due for a change. But the model’s been a dart board for public school advocates who note lackluster results and financial irregularities in other states that have already rolled out charter takeovers. Tonight’s meeting is set for 6 p.m. at Lakewood Elementary. As of this afternoon, more than 100 had indicated they planned to attend and more than 200 said they were interested, according to the “Defend Durham Schools” Facebook page. Look for Policy Watch coverage Wednesday.